Wong Chuk Hang (黃竹坑) used to be the main industrial / factory area on Hong Kong island in the 70s before China opened up in 1978. Over the following 2 decades gradually all of the work moved northwards. 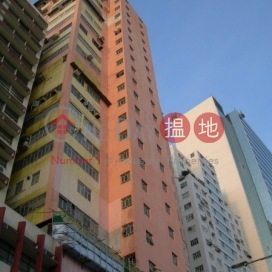 Since the announcement of the new MTR station around 2007, Wong Chuk Hang has undergone dramatic change whilst property prices for the industrial buildings sky-rocketed. Due to the age and state of many of the industrial building most of them will eventually be re-developed to become office blocks, hotels or high-end residential buildings. Since the opening up of the MTR station in 2017, a small number of blue chip companies have moved their head-quarters into the area.